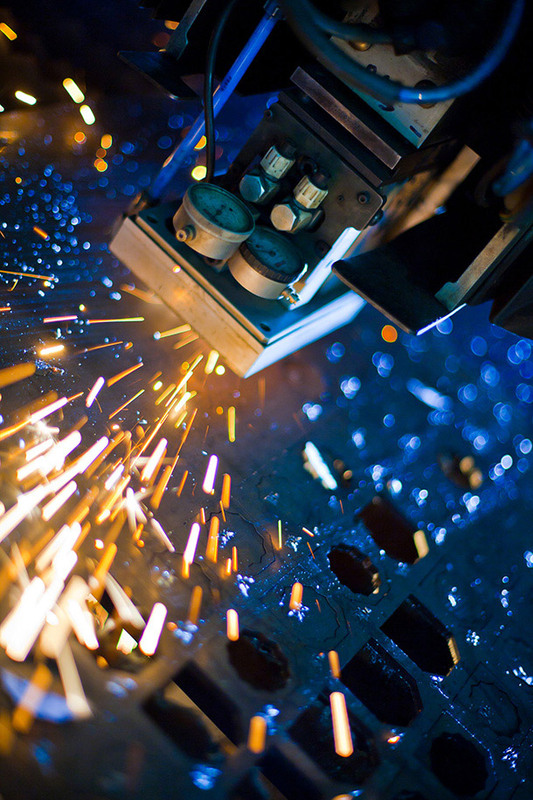 At Advanced Custom Metals, Inc., we deliver advanced, high precision laser cutting and welding services, providing customers exceptional accuracy in a flexible range of materials. Advanced Custom Metals operates with a 3-axis Flying Optics, CO2 type laser outputting 2000 to 3500 watts. 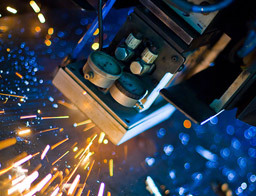 Cutting may be performed on steel, stainless steel, and aluminum, as well as wood and acrylic. See table below for maximum thicknesses on each. Cuts may be up to 8' long and 4' wide, with excellent tolerances of ± 0.005". Welding services are provided through MIG and TIG systems, with subsequent inspection and leak/dye testing is available for your verification needs. With lead times of 2 to 3 weeks and even 1-day turnaround, Advanced Custom Metals is ready to deliver precise, high quality work in a timely manner. In addition to laser services is a complete set of finishing procedures, including grinding, stamping, light assembly, and packaging. With a production capacity of 1 to 10,000 parts, Advanced Custom Metals has the state-of-the-art machining processes you need. Contact us today.